Not sure why people use mulch? You’ve come to the right place. Read on to learn all about the importance of mulching. First and foremost, mulching helps to keep your garden looking neat and tidy. It can help you achieve a uniform look across your whole space, tieing everything together cohesively. 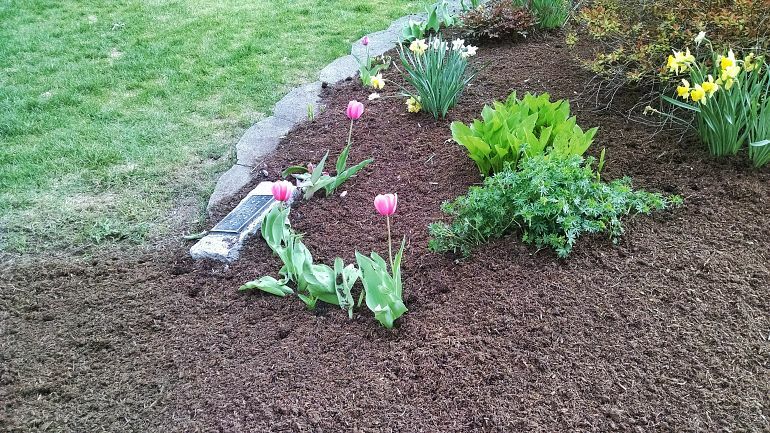 Organic mulches will break down over time, eventually putting more nutrients back into the soil. This is great news for your plants as they will continue to enjoy nutrients from the mulch even after it is no longer providing other benefits. Mulching has many significant benefits, one of which is its ability to prevent soil compaction. Soil compaction occurs when a force pushes air and water out of the soil, leaving it in a more dense form. As a result, plants no longer have enough space to expand their roots and grow properly. The roots are unable to take up adequate water or nutrients from the soil, resulting in halted growth. Another fantastic benefit of mulching is the fact that is can prevent weeds. Love to weed your garden? We didn’t think so. By adding a layer of mulch around your plants, invasive weeds will have a difficult time trying to grow in your garden. Need to improve your soil insulation? Mulching could be the answer you’re looking for. It can help insulate the soil by providing a buffer from heat or cold temperatures. Mulch also helps with water retention by keeping the plant’s roots cool. This is especially useful in hot climates or in Summer as it minimises the frequency of watering required. In turn, this saves water. The mulch will also prevent soil from splashing up onto the plants when it rains. Real Deal offer lawn and garden services across Sydney’s Northern Beaches. Get in touch today to see how we can take care of your outdoor spaces. We service the following councils: Manly Council, Warringah Council, Pittwater Council, Kuh-ring-gai Council, City of Sydney, City of Randwick, Waverley Council, City of Botany Bay, Municipality of Woolahra, Marrickville Council, Municipality of Ashfield, City of Canada Bay and the Municipality of Leichhardt. © Copyright 2016 Realdeal Services | All rights reserved.